While U.S. President Barack Obama is waiting for Congress approval and pondering if he could win another Nobel Peace Prize by killing more people with Tomahawk cruise missiles instead of drones (maybe that is the promised change), it is important to highlight the close connection between the conflict in Syria and developments in the Caucasus region. 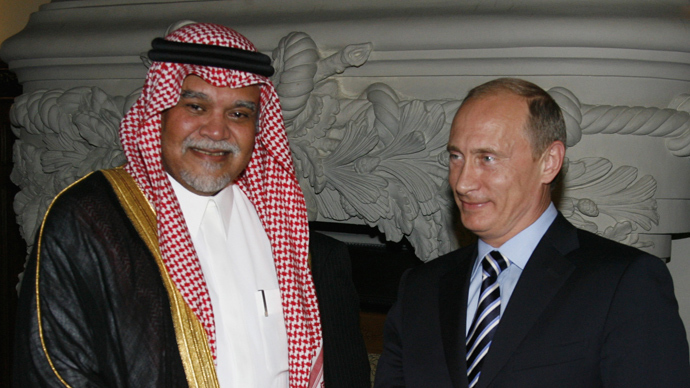 Bandar Bush and the House of Saud have quite a different understanding of fighting terrorism. According to Saudi definition only the Qatari-backed Muslim Brotherhood and groups which are not on Riyadh's payroll qualify as terrorists. As you can imagine, this reduces the number of terrorists significantly. A top security official involved in fighting Islamist militants in Russia's North Caucasus republic of Ingushetia was shot dead Tuesday, local authorities said. Ingushetia’s leader Yunus-Bek Yevkurov said the attack was related to Kotiyev’s “successful” crackdown on Islamist militants in the republic. 157 militants were killed and 206 detained in 1,800 operations in the North Caucasus in January-July 2013, RIA Novosti cites Sergey Chenchik, Chief of the Main Directorate of the Interior Ministry in the North Caucasian Federal District. Russia's Federal Security Service (FSB) said on August 28 that Shukuran Mamedov was found guilty of participation in the activities of illegal armed groups in Russia's North Caucasus and illegal border-crossing. The investigators also say Mamedov tried to organize ways to supply the Islamic insurgency in Russia's North Caucasus with equipment, arms, ammunition, and financial support via Al-Qaeda's network. Bandar should consider recruiting more Georgians in preparation for next year's Olympic Winter Games in Sochi. This would save the House of Saud some transportation expenses. "The CSTO is preparing a proposal for rendering aid in strengthening the Tajikistan-Afghanistan border to minimize the consequences of the exit of international forces from Afghanistan in 2014," Bordyuzha said. 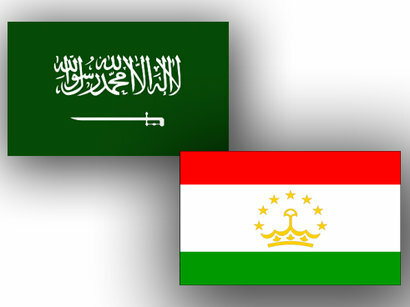 "We need to be ready for the emergence of any situation on the Tajikistan-Afghanistan border... The number of armed clashes [on the border] has increased by more than half." Satisfaction was expressed due to currently implementing seven projects totaling $60 million through the Saudi Fund for Development by the Government of Saudi Arabia. The Head of Khatlan Province, Ghaybulla Afzal, during his speech at the personal reception of the population in Khavaling District on Saturday, said that 53 mosques for 48 thousand population is an overkill. "Several bin Laden family members, who participated in the Gladio B operations, worked directly with Saudi Arabia's U.S. embassy and with another familiar face, Fethullah Gülen. The bin Ladens regularly attended official openings of mosques financed supposedly by Saudis and Imam Gülen at the direction of the United States and NATO. As previously mentioned, the Islamization of Central Asia and the Caucasus region is a key part of the Pentagon's Gladio B operations." The suspects, whom authorities did not name, allegedly trained at a terrorist camp in Waziristan. Afghan authorities accuse them of committing terrorist attacks in Paktika, Paktia and Khost provinces, Tajik officials told AsiaPlus.tj. 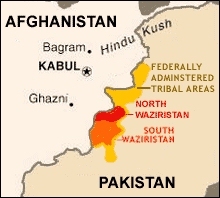 Central Asian militants under the banner of the Islamic Movement of Uzbekistan (IMU) are massing in North Waziristan, posing a serious threat to peace in the Pakistani-Afghan region, security analysts say. "[There are] Uzbeks, Tajiks, Turkmen and Kyrgyz … even Uighur militants from [Xinjiang Uyghur Autonomous Region, China]," he said, estimating that as many as 3,000 to 4,000 Central Asian militants operate in Pakistan and Afghanistan. 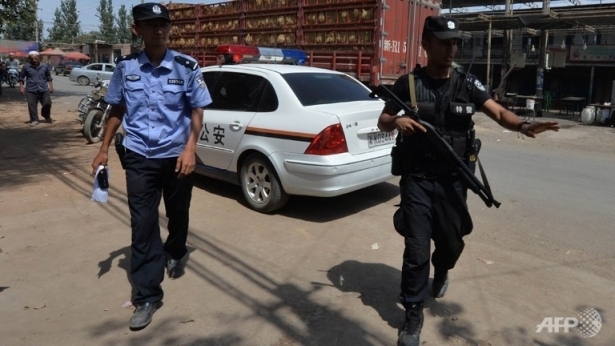 "We conducted an anti-terror operation on August 20th, successfully and completely destroying the terrorists," Yilkiqi township police chief Batur Osman told RFA's Uyghur Service. A minor Chinese newspaper has for the first time reported on a violent confrontation last week between security forces and "terrorists" in Xinjiang, in which at least 22 people were killed, according to exile source. The Kashgar Daily reported on Wednesday on a memorial service earlier this week for Yan Xiaofei, a 32-two year old police officer who died during a security forces raid on a “gang of terrorists” in a building in Yecheng county, Kashgar prefecture, which borders on Afghanistan and Pakistan. A national anti-terrorism team has been established to lead an intensified campaign to fight surging terrorism in China, the team announced at its first conference on Tuesday in Beijing. Guo Shengkun, minister of public security and leader of the team, said the team will fully mobilize governmental resources and take every effort to fight against terrorism before attacks happen to avoid the risk of social damage, according to a statement on the ministry's official website. Much of the violence goes unreported in the Chinese news media, but the cases that are publicized are invariably described as “terror attacks” carried out by “separatists,” some of whom, the government says, have been trained abroad. Analysts have cast doubt on such assertions, noting that the suspects are often armed with rudimentary weapons like knives. And Pakistan also promised “continuous, active collaboration with and assistance to China in combating terrorist forces including the ETIM," referring to the Eastern Turkestan Islamic Movement, the group China accuses of carrying out an Islamist, separatist agenda in Xinjiang. "Russia and China have been extremely careless in their dealings with the United States. Essentially, the Russian political opposition is financed by Washington. Even the Chinese government is being undermined. When a US corporation opens a company in China, it creates a Chinese board on which are put relatives of the local political authorities. These boards create a conduit for payments that influence the decisions and loyalties of local and regional party members. The US has penetrated Chinese universities and intellectual attitudes. The Rockefeller University is active in China as is Rockefeller philanthropy. Dissenting voices are being created that are arrayed against the Chinese government. Demands for “liberalization” can resurrect regional and ethnic differences and undermine the cohesiveness of the national government."